As we’ve started seeing in recent years, blockchain technology genuinely has the potential to change the way we live, and hundreds of startups are spring from almost every corner with the promise of disrupting just about every industry. The success of bitcoin so far in making us how to rethink how we use money offers hope that, if the idea sounds good and it’s well implemented, it’ll eventually become a success. Based on this fact, alternative coins, established through ICOs, feel like the answer for investors who have missed bitcoin’s most significant trains. However, with over a thousand of coins out there – 1,448 of them as of the time of writing – and new ones being introduced every day, most only existing of a promise of disruption and nothing more, it’s becoming increasingly difficult to identify which ones are worth an investment. Given that it’s unlikely that cryptocurrencies will disappear anytime soon – after all, governments have started or thinking about issuing their own – one of the ways to benefit from the cryptocurrency boom is to be invested in cryptocurrency mining, which many cryptocurrencies depend on to function or exist. Cryptocurrency mining is the process of confirming cryptocurrency transactions and being rewarded with freshly minted cryptocurrency as a reward. In other words, if you’re a bitcoin miner, you’ll be paid with newly “minted” bitcoin when you confirm bitcoin transactions. It’s mainly these freshly “minted” bitcoin rewards that add to the amount of bitcoin in circulation. It’s safe to say that as long as bitcoin transactions occur, miners are going to make money. 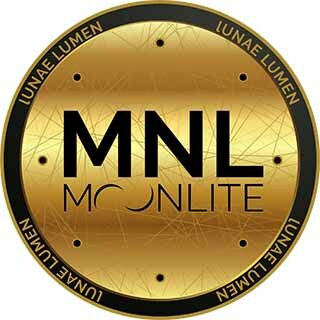 The MoonLite Project is one of the cryptocurrency mining projects that are positioned to be relevant over the long term. MoonLite Project is an industrial scale cryptocurrency mining project, focusing mainly on all forms of bitcoin, dash, and litecoin. The company plans to start operation in August of this year with a first data center in Iceland – the data center capital of the world. Here’s a look at some interesting stuff about the MoonLite Project. A lot has been said about the security of ICO investments, seeing that majority of the ICOs are based on whitepapers, and how many of the ideas being presented are concepts of the far future. What makes the MoonLite Project more secure than the average ICO opportunity is the extra layers of security that it offers. The first layer of security is offered in how the company plans to use the proceeds from mining. Proceeds will be used in three ways to optimize results. First, MoonLite intends to liquidate 60 percent of the proceeds at initial stages into fiat currency to cover operational costs and invest in specific traditional and blockchain related investment opportunities. MoonLite also plans to reinvest some portion of the 60 percent back into operations. Second, MoonLite plans to retain 20 percent of the proceeds in cryptocurrency for investment in some crypto hedge funds. The advantage of this is that the money will be in the care of experts who are trained not to lose money. 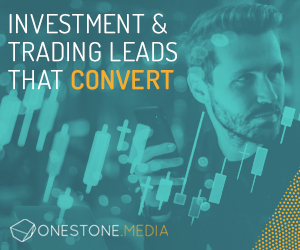 Crypto hedge funds have sophisticated systems that allow them to optimize portfolios for the best return possible. The fact that only 20 percent is targeted for cryptocurrency trading shows the team is disciplined. They could have quickly allocated 30 to 50 percent to cryptocurrency trading to benefit from the wild price swings that come with the cryptocurrency market, seeing the value of cryptocurrencies could rise by as much as 20 percent within a short time frame. Third, the MoonLite team plans to use the remaining 20 percent to buy new equipment and expand operations. Many ICO startups, other than the fact that the ideas for which they’re raising funds could be entirely futuristic, many do not plan to use the money to buy tangible assets that could serve as a hedge against loses in case the business doesn’t work out. The MoonLite Project, on the other hand, plans to own all of the equipment used in daily operations, stating that its ownership of the material will help it hedge against losses from downside risks or project failure. The second layer of security stems from the control it’s giving investors on its operations and financials. The 60:20:20 ratio described above is only how it has set up things. Down the line, though, token holders will be able to vote on financial, operations and human resources matters via the Security.Vote platform. What that means is that if token holders decide they prefer a difference proceed allocation ratio than the default 60:20:20 rate, they can vote to determine what the new ratio should be. At present, energy efficiency is one of the most significant issues facing the cryptocurrency mining space. Electricity costs are one of the biggest components of the expenses list of crypto miners. Other than the cost component, there’s also the negative impact that such colossal power consumption has on the environment mainly because a huge chunk of the world’s electricity is still generated from greenhouse gas-emitting sources like coal. The MoonLite Project will be more cost-efficient and environmentally responsible at the same time. The company is opening its first mine in Iceland. There’re a number of efficiencies and an environmental responsibility side to this. First, Iceland, while not as cold as the name suggests, has regular chilly air that allows for the data center to be built with vents that allow air from outside to enter the datacenter. Iceland presents MoonLite the opportunity to save on both cooling costs and power costs. Interestingly, MoonLite has already locked down a 12-year fixed cost contract with the Icelandic Power Producer at a discount to the local prices. What’s more, 100 percent of the energy will be green. Iceland has one the lowest energy tariffs in the world. The model in Iceland — green and clean energy, reliable supply and low cost — is precisely what MoonLite plans to adopt for all of its future data centers. MoonLite is among the projects pioneering the next wave of ICOs – or ICO 2.0 as it is commonly called. MoonLite is currently offering its tokens to presale buyers. What do you think about MoonLite using sustainable ‘green’ energy sources to power its mining facility? How will it affect how future mining projects are powered? Let us know in the comments below. The post The Benefits Of Investing In The MoonLite ICO appeared first on Bitcoinist.com.